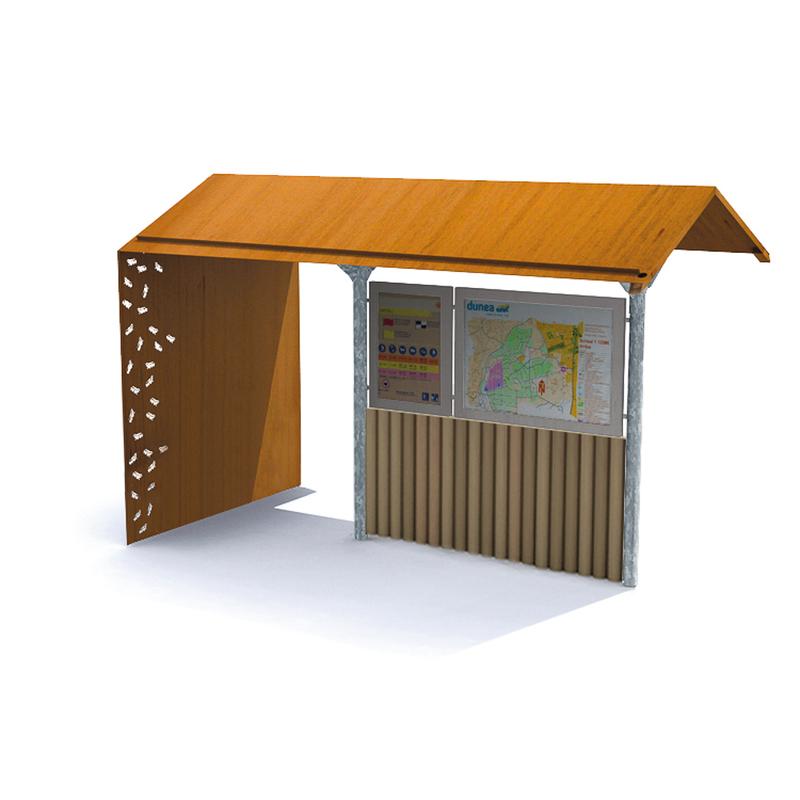 The Valley Shelters are ideally suited to nature reserves. 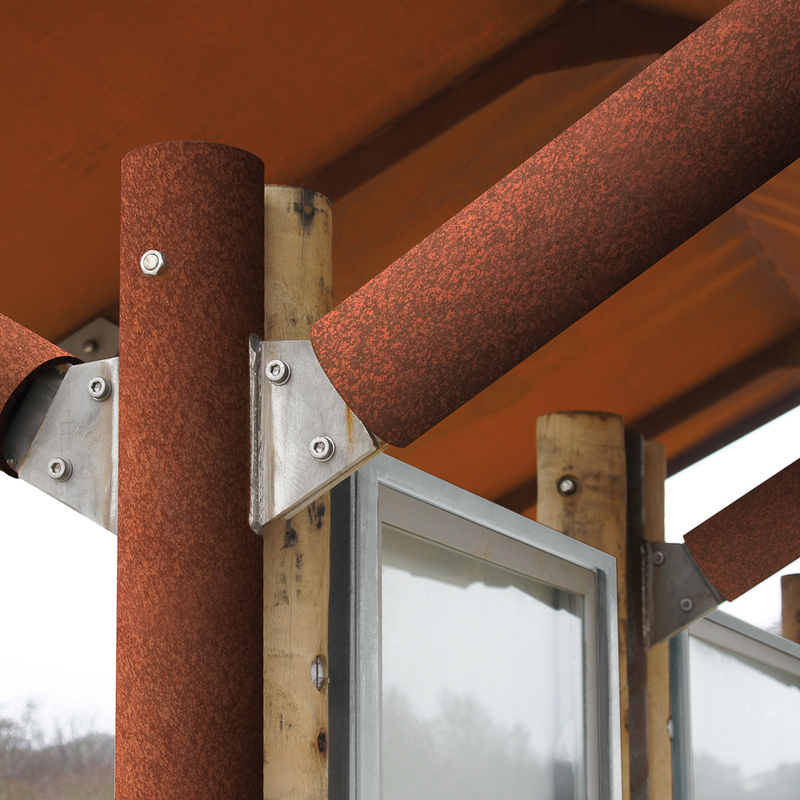 The use of sustainable materials – CorTen steel and FSC® certified hardwood – give the information boards a natural appearance. 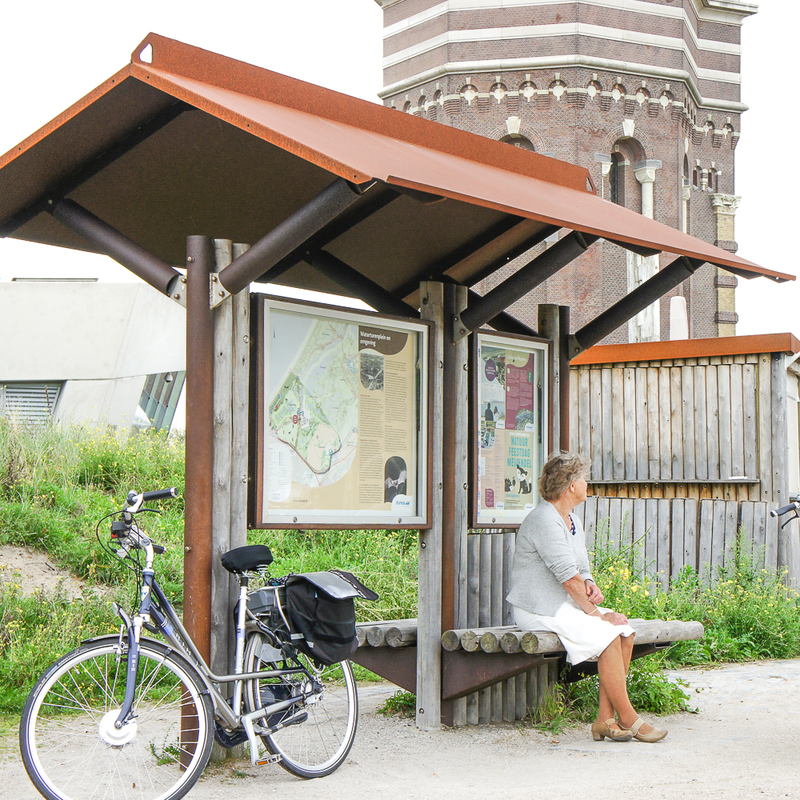 The Valley Shelters serve as both an information point and a rest area for hikers and cyclists. 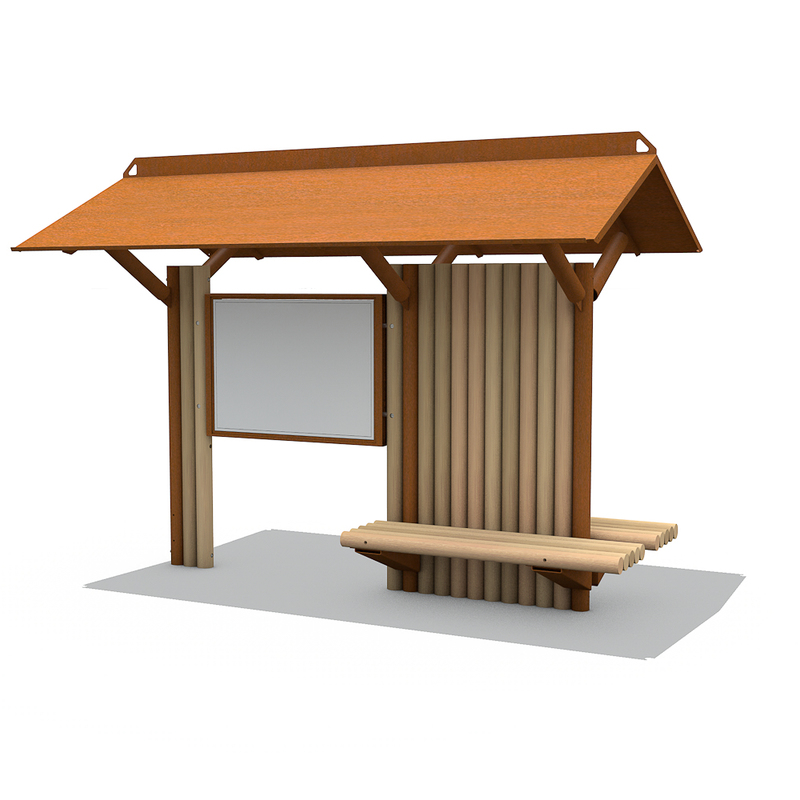 The matching wall benches and partition are constructed of fast-growing hardwood with the FSC® label, in the form of round logs. 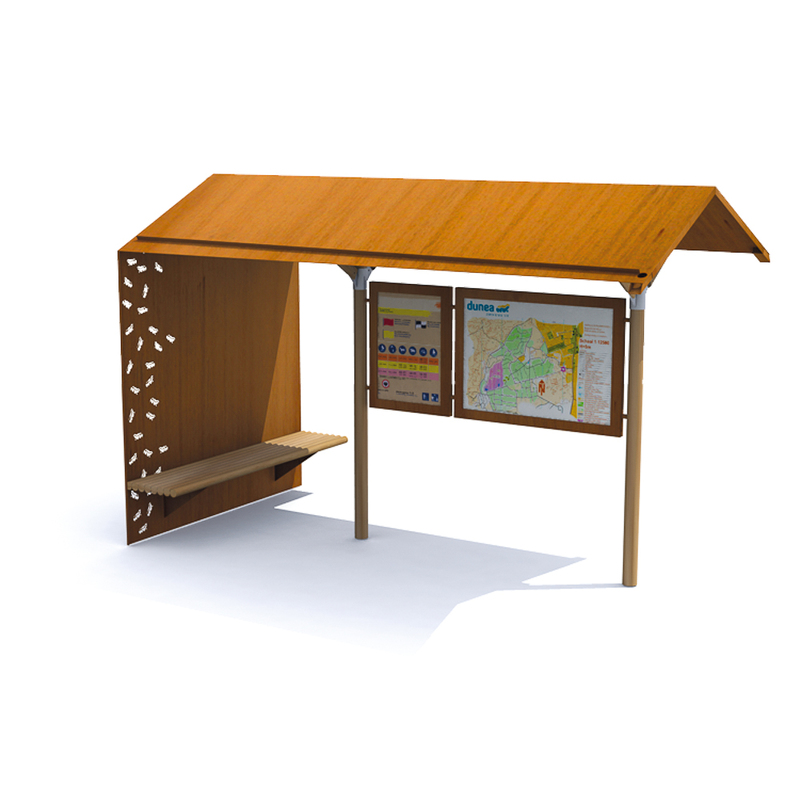 The information display cases are optional.